1. Collar and stand, must be easy to apply and be petite. I dislike large clunky collars and floppy collar stands. 2. 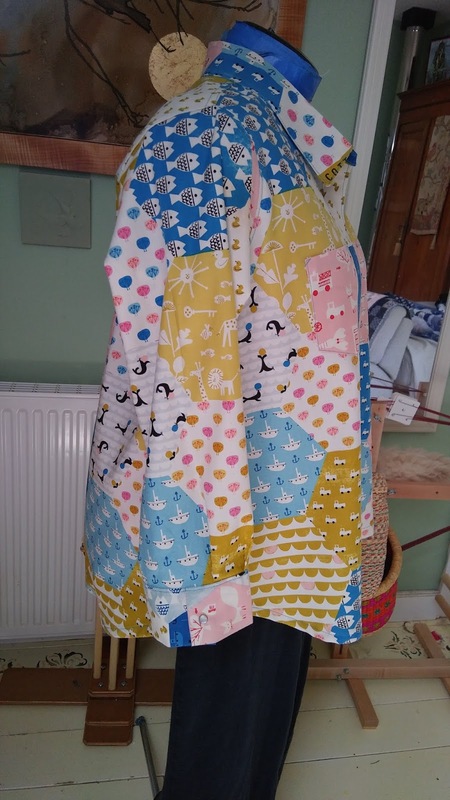 Back yoke, nicely lined with a second yoke. My favorite method for that yoke is the "burrito" method. I use it all sorts of places. I like a pleat too. Easy enough to add if he pattern doesn't have one. 3. Perfect fitting shoulders and a well fitting sleeve head. 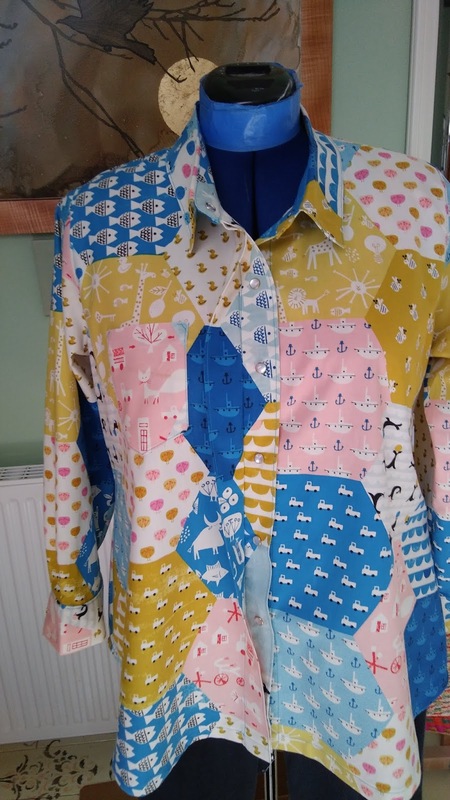 This is one type of garment that I simply must have a near perfect fit in this area. 4. A full sleeve. I like a nice bit of gather into my cuff. I think it's just prettier and more feminine to have that fullness and softness. 5. A folded button placket. I'm not a fan of the sew on variety. It's easy enough though to just add for a fold over. Having a hidden placket just means you add another folds span or so for the right front. 6. Shaped at the waist area and full enough at the hip area. A straight man's cut shirt usually feels and looks a bit tight below the waist for many women, myself especially. 7. Shallow shirt tail hem. I'm not a fan of the deep swoopy hems. They are hard for me to get nice. I am not adverse to a straight hem either and have been known to cut that shirt tail off all together. 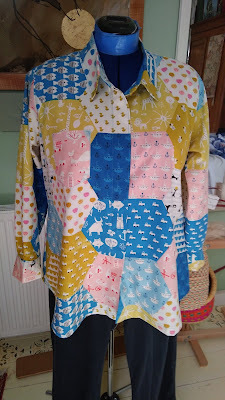 So, the Hey June Cheyenne shirt and tunic pattern hit a few of those most important items and those it didn't were easy enough to add/adjust. The most important things; #'s 2,3, 4 and 6 were pretty spot on. I added a back pleat, changed up the cuffs just cuz I could and did hidden plackets on both my makes. The white one was the first one and I didn't make any changes other than to make a longer sleeve on the second one. I really like this pattern. 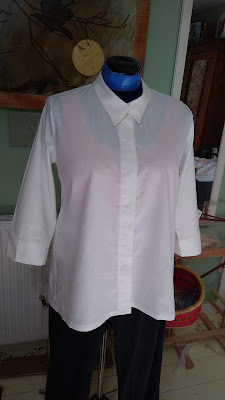 I have one more button down shirt pattern coming from Liesl & Co and when I make it up I'll do a little comparison of all three. Other than sewing and threading Mongo very slowly, I've been making jam. 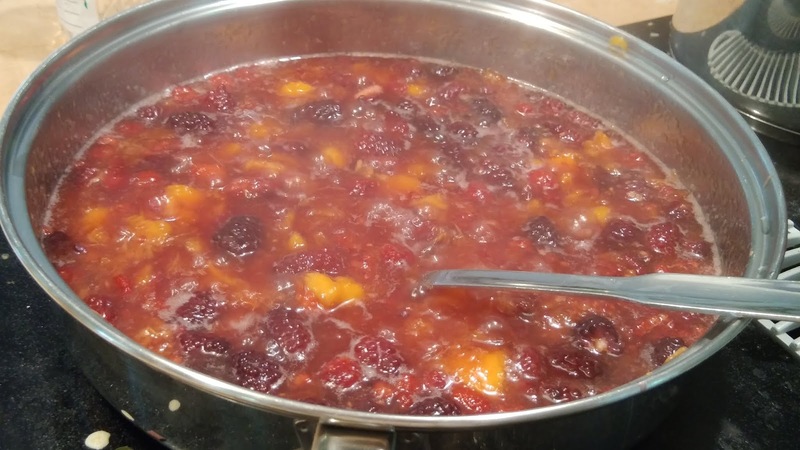 This weekend I made up good sized batches of Nectarine and Lime Jam (last year's favorite) and Nectarine and Raspberry Jam. I also made a scrumptious Blueberry Coffee Bundt cake with lemon glaze for Gene's birthday today. It's amazing what you can accomplish at 4:00a.m.! In other things, I have to ask is anyone surprised that the Orange Asshat is an Orange Russian Asset? That there are more Kremlin assists in congress? What a disservice the GOP has done to this county and our democracy. I think every single one of them should be put on trial for treason. Yep, Hilary had it right, Putin's Puppet. Oh lord, November can't come fast enough. Green Day, you had it right all along! 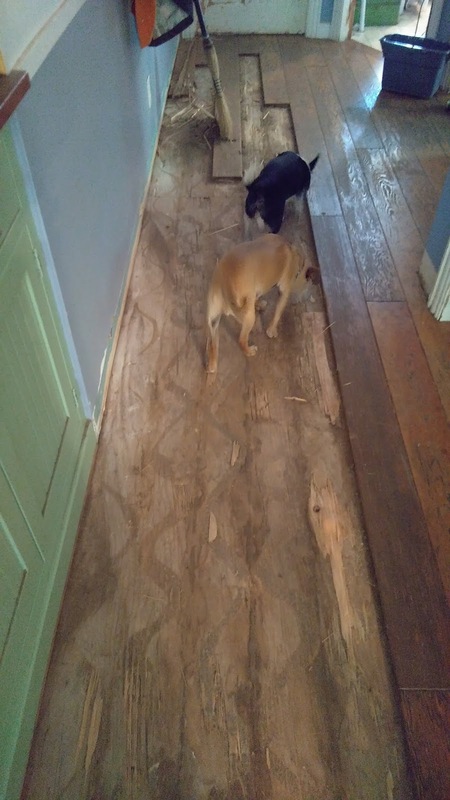 Parting shots: A twofer, dogs and demo. It's going to be a messy end to July! Commenting so I receive following comments! Your shirts look pretty; I'm eager to read your comparison of two patterns. I like to read what Robert Reich (robertreich.org) has to say. He's an intelligent man of knowledge and experience. He writes with great insight and pulls no punches. Why 'o why can't we have a "sniff" key??? That jam looks yummy! 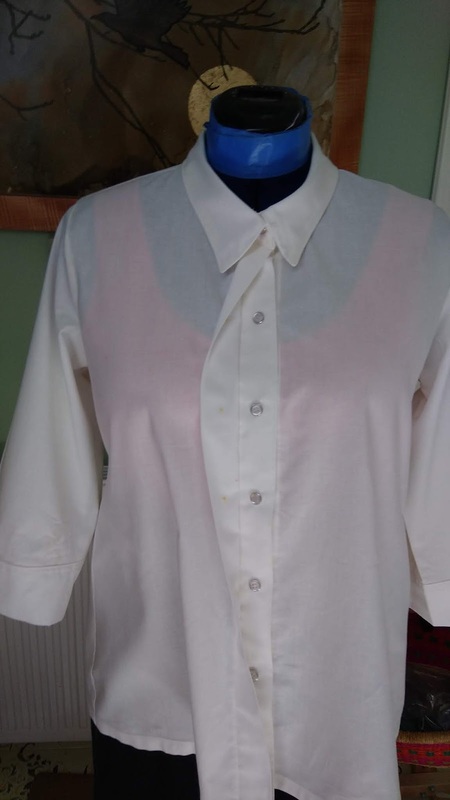 Getting the perfect/favorite top/shirt pattern can be a crap shoot. But, once you have it, it's gold! Love the new shirts!!!! Thank you Carol! Actually there will be a 3 way comparison with the Style Arc pattern also. I like R.Reich quite a bit. LOL, if we had a sniff key can you just see the critters with it? The jam bits left over in the pan I scraped onto a spatula to sample were mighty tasty I must say. I actually used a combo of some marionberries and raspberries with the one batch of nectarines. Do you grow all that luscious fruit? Nectarines are one of my very favs, but I've never bought enough to preserve - as soon as they are ripe they go into my mouth! :-) And being an east-coaster, don't think I've ever had a marionberry, although raspberries are right up there with favs. I love the seeds. Not only Russia but now the NRA! On another note, would you mind sharing where you got the OM fabric? 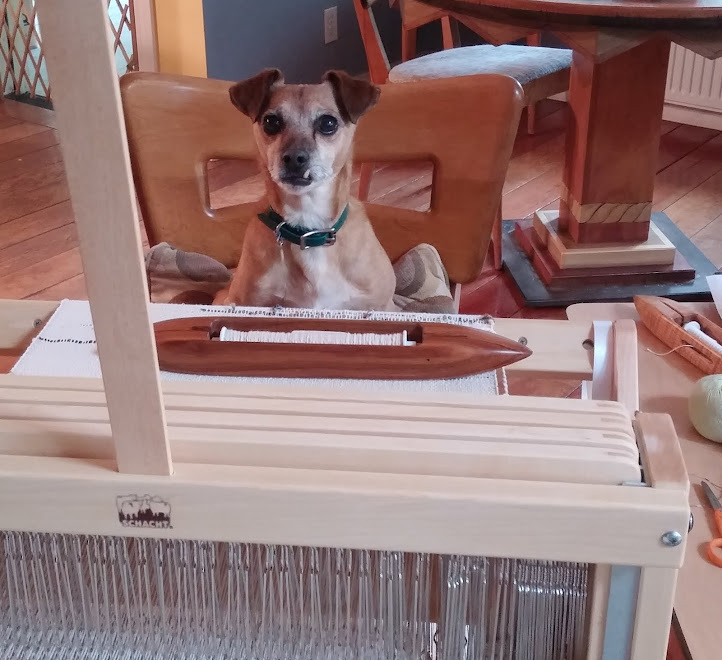 Tobie, Mea Culpa! I meant to answer your question last post! The eta store is" The Delhi Store" and here is their link. The only surprise I get while reading the news is that the asshat is still in office. Hopefully, he and his cronies will bite the dust in November. It defies logic. You are so much more organized about your wardrobe - I am down to basics: does the top match the bottom? Check! No food stains? Check! Whatcha demolishing? I don't row nectarines but I'm sure there are numerous growers right over the border in CA. Peaches are coming in locally right now and figs, along with blueberries. YUM! Marionberries are like a bit more tart blackberry. 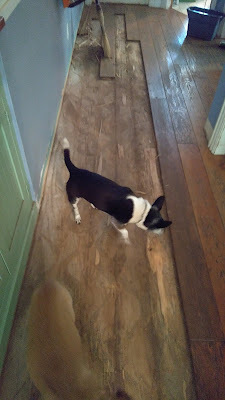 Demo wood floors in foyer, hallway and kitchen and replacing with tile. Can you imagine a world in which he gets re-elected? Just how much fudging are the Russians capable of? 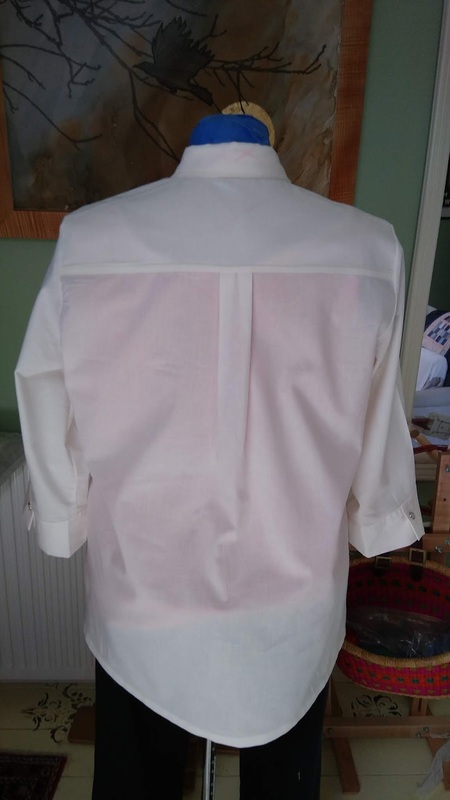 You might try taking a small tuck in your pattern piece front between placket and shoulder seam and another on the back between center and shoulder seam. You will have to also take the same amount of tuck out of both collar stand and collar, OR grade to a smaller neck size and use the appropriate collar and stand. Myself I have to say, none of the patterns I like have a tight small neck. Great shirt and jam!!!! Every day the news brings out more crap on the Trump family...you would think they are the Corleone Clan...complete with horses heads in the bed. Hope you not too overwhelmed with soot and smoke these days. Lord knows it is sure falling down in the valley and covering all veggies and patio furniture and keeping us from doing any decent yard work. What a beautiful white shirt! Perfection. Thanks, Theresa! I'll give that a try next time.